An artist paints landscapes of faraway places that she cannot identify in order to find her place in the global economy. A migrant worker sorts recyclables and thinks deeply about the soul of his country, while a Taoist mystic struggles to keep his traditions alive. An entrepreneur capitalizes on a growing car culture by trying to convince people not to buy cars. And a 90-year-old woman remembers how the oldest neighborhoods of her city used to be. These are the exciting and saddening, humorous and confusing stories of utterly ordinary people who are living through China's extraordinary transformations. 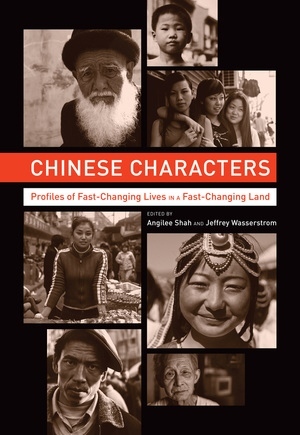 The immense variety in the lives of these Chinese characters dispels any lingering sense that China has a monolithic population or is just a place where dissidents fight Communist Party loyalists and laborers create goods for millionaires. Jeffrey Wasserstrom is Professor of History at the University of California, Irvine. He is the author of books such as China in the 21st Century, Global Shanghai, and China’s Brave New World, and the editor of the Journal of Asian Studies. Angilee Shah is a freelance journalist. Her work has appeared in the Far Eastern Economic Review, Mother Jones, TimeOut Singapore, Global Voices, and AsiaMedia, among other publications.